Yesterday I returned from FantasyCon. From about the halfway point of the convention I started feeling quite overwhelmed – but not in the what-am-I-even-doing-here? sense that I used to feel at such events. This time I was overwhelmed because I felt comfortable, and because the people I was speaking to are no longer intimidating but are my friends, and because those same people are so very, very talented. Each time I looked around at the faces in a reading room, or a panel session, or at the bar, I felt awed at the thought of all the wonderful fiction these people were producing, and even more awed at all the potential still to be tapped. In the midst of all this, I failed to take stock of the fact that a book I wrote was released at FantasyCon. My non-fiction book about the 1915 French crime serial, Les Vampires, was launched at the PS Publishing event on Friday. I held a copy – briefly – when somebody asked me to sign it. I picked up a copy for myself the next morning, and jammed it in my rucksack along with books I was far more excited about, including novels by Aliya Whiteley and Stephen Volk and collections edited by Dan Coxon and Mark Morris. When I rolled into my hotel room at 2am I picked up the Les Vampires book, smiled, fell asleep. I was tired on the train home on Sunday. I decided I wouldn’t begin reading any of the books written by my friends; in my addled state I wouldn’t have paid close enough attention. So, with the guilt of vanity, I started flicking through my own book. Then I ended up reading the whole thing. I felt very emotional. I realised that I’m proud of my book. In published form, I found it easier to enjoy and appreciate than other books I’ve written, perhaps because it’s primarily factual, but also because it’s a response to a film I adore, and because I think my enthusiasm is clear and real and honest. 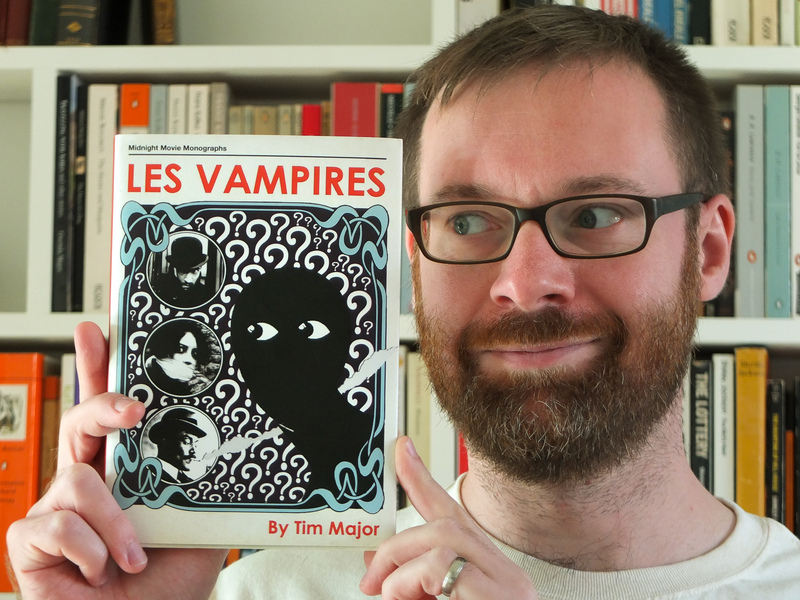 I still don’t know whether the book would be comprehensible to somebody who hasn’t watched Les Vampires, and the film is over 100 years old, 7 hours long, and is frustratingly difficult to buy on DVD in the UK right now, all of which makes my book hilariously niche. But I think it’s a good book, and I really do like the 10 pieces of weird fiction I wrote and slotted in between the analyses of each episode of the film. I hope the book is noticed and read. Anyway, to tie in with my overwhelmed and glowy feelings about FantasyCon in general, I feel very grateful that I was allowed to write Les Vampires. Neil Snowdon, founder and editor of the Electric Dreamhouse Press imprint (he even designed the excellent cover of my book! 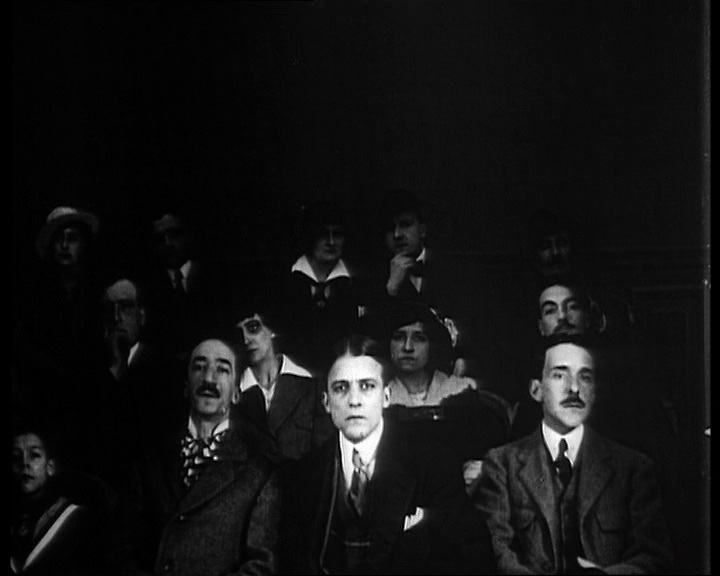 ), was indulgent in letting let me spend legitimate time exploring a film I love. He’s been supportive of my work in general and he was responsible for introducing me to many of the writers who are now my friends. I spent several hours with Neil on Saturday, after having met in person only once before, two years previously, and then for only 15 minutes, and we felt like old friends. I hope we’ll continue to collaborate in the future. I hope the Electric Dreamhouse monograph series will continue to grow, and that the books will find readers and recognition. So. I had a great weekend, and things are great. I have a new book out, and I’m proud of that. You can find out more about the book here, and you can buy it direct from PS Publishing or from Amazon.co.uk or Amazon.com. And if you haven’t already – and regardless of whether you buy my book – you should watch the film. 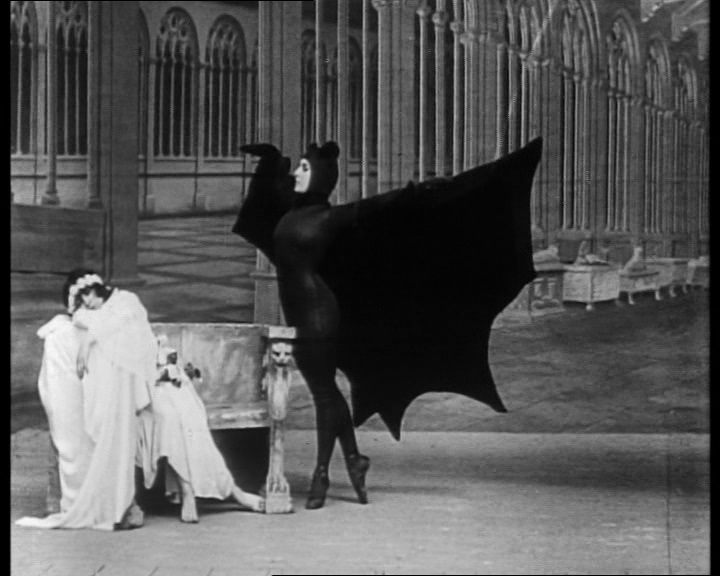 Les Vampires is utterly wonderful and deserves to be seen.